This semi-detached house, completed in mid 2010, is located on the popular beach road. The fresh air of the Baltic Sea will provide rest for your body and soul. This semi-detached house, completed in mid 2010, is located on the popular beach road. The fresh air of the Baltic Sea will provide rest for your body and soul. The house has been lovingly and tastefully decorated, so that you can enjoy your holidays to the maximum. On the ground floor of this property, there is a spacious and comfortably furnished living room with a fireplace and a Blu-Ray player. There is a separate dining area with a modern, bright kitchen with a variety of gadgets, including an induction cooker. The living room opens on to a terrace with an awning. Garden furniture, sun loungers and a barbecue are also available here. 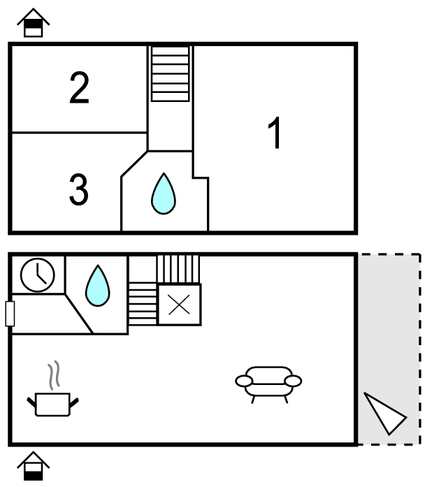 There is a guest bathroom with a shower on the ground floor. The first floor houses a luxury bathroom with various facilities such as a hot tub, washer and dryer. The house boasts of a double bedroom, a bedroom with a trundle bed, a children's bedroom with bunk beds and plenty of toys. The cosy bedrooms are all furnished with white cottage furniture. Internet cable connection is also available. The entire house is equipped with under floor heating and all windows are fitted with insect screens. A wagon, 2 adult bikes and 1 children's bike are at the guests' disposal. One of the two parking spaces at the house is a carport. The beach is about 50 metres away from the house. The Timmendorf beach on the Island of Poel offers everything you expect from a Baltic Sea Resort - great sandy beach with beach chairs, a harbour, a water sports provider, a peaceful cliff, tourist facilities, fishing trips, bicycle rentals, a horse stable in the area, bus connection to Wismar and passenger ships to Boltenhagen and Lübeck. The island is a haven for cyclists, because there are many roads and trails exclusively for cyclists. Tourist services are offered by the various NOVASOL partners which rounds off the various holiday offer: With a coupon book you will be granted a discount at selected tourist agencies in Mecklenburg-Vorpommern. 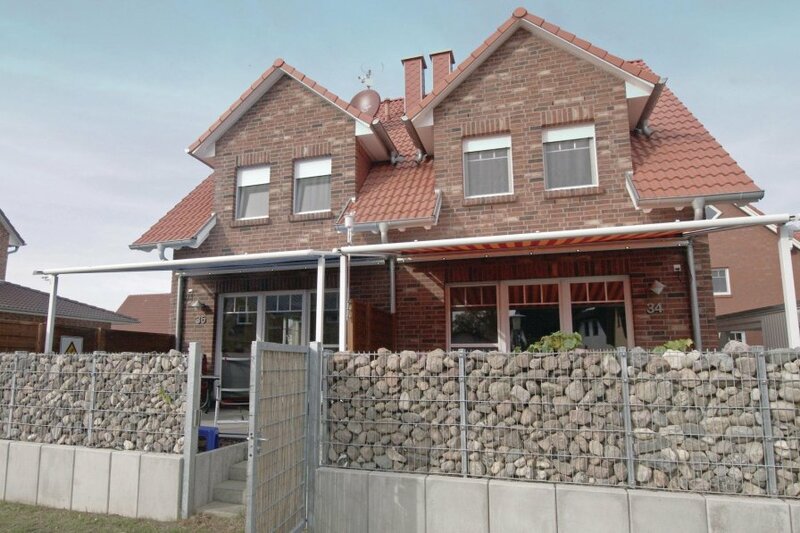 This beautiful modern house is made from brick or stone and was originally built in 2010 and refurbished in 2012. The agent has rated it as a five star property so it is one of their best houses - tastefully furnished and fully equipped. It is also great value for money. The houseIt is located in Insel Poel, 24km from Wismar. The nearest airport is 90km away. It is set in a very convenient location, just 70 metres away from a sandy beach. There's also a restaurant only 100 metres away. The house has free cable internet. You can also park on-site at no extra charge. The house is well equipped: it has a refrigerator, microwave, washing machine and dishwasher. It also has a barbecue and some garden furniture outside.